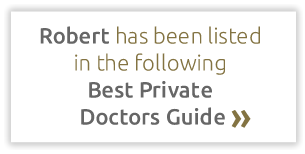 Robert has been practicing Acupuncture since 1991 from his clinic in Nottinghill, London. His core style of Acupuncture is the 5 Element system, but Robert has also trained in Traditional Chinese Medicine (TCM), Chinese Herbal Medicine, Nutritional Medicine and Functional Medicine. These are all seamlessly integrated as is appropriate to the individual patient. Over this time Robert has treated thousands of patients who have come for a huge variety of reasons. Some clients use Robert’s skills in a preventative way, to stay well and to maximize their potential. Others are seeking help and a fresh perspective on complex, and sometimes life compromising conditions that conventional Western Medicine has been unable to help with. Robert’s training and experience provides a different way to make sense of who we are and how we can be better. He has been fortunate to have studied and been personally mentored by some brilliant practitioners of the art, and is committed to best practice. He is a Member of both the British Acupuncture Council and the Register of Chinese Herbal Medicine, and as such is recognized by most health insurance companies.